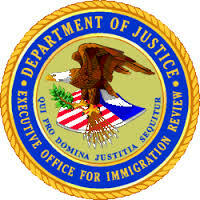 Under the Board’s decision, it is now national law that a permanent resident who obtained his status through adjustment of status is not barred from seeking a 212(h) waiver due to conviction for an aggravated felony. Given that this was already the law in nine circuits and only the eighth circuit had held that such individuals were ineligible for the waiver, it is tempting to ask what is the big deal? 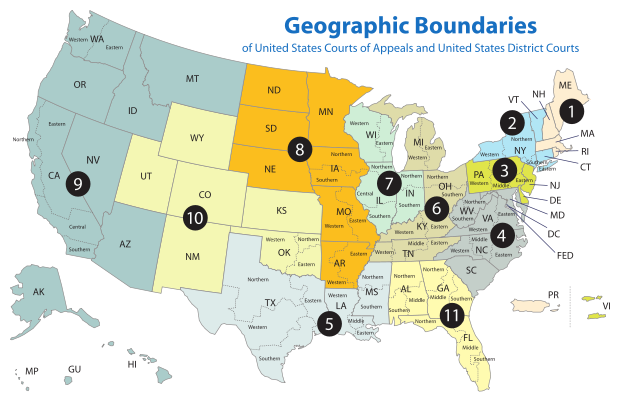 First, it makes a huge difference to the people living in the Eighth Circuit (North and South Dakota, Iowa, Minnesota, Nebraska, Missouri, Arkansas) as well as those who live in the First Circuit (Massachusetts, Maine, New Hampshire, Rhode Island, Puerto Rico), which had not weighed in on the issue. For individuals in those ten states, the BIA’s decision in E.W. Rodriguez foreclosed 212(h) availability to all permanent residents convicted of aggravated felonies. Second, now that the Board has accepted the availability of 212(h) waivers for certain permanent residents, this is now the law that U.S. Consulates worldwide will have to apply. Under the law as it stood before today, a permanent resident deported for an aggravated felony could never hope to return as a green card holder because they would not qualify the 212(h) waiver when they applied for an immigrant visa abroad. The consulates had taken the position that an individual who had been granted permanent residence and convicted of an aggravated felony was ineligible for a 212(h) waiver. Under the new BIA decision, former permanent residents who were deported due to aggravated felonies may be able to seek a 212(h) waiver to reunite with families in the U.S. This is not to say that they will get it, but being able to apply gives them a chance. Third, this shows what creative and committed lawyering can accomplish. Today’s decision is the culmination of lawyers bringing cases challenging the Board’s interpretation across the country. It required coordination and perseverance. That hard work will have the benefit of helping many more families stay together and, perhaps, even reunite some. We have had success in immigration court seeking the 212(h) waiver for permanent residents convicted of aggravated felonies and hope that this expansion allows us to bring that relief to many more families across the U.S.
Not clear yet. We would be happy to discuss in a consultation, which you can schedule by calling 202-644-8600. Hello I need your help, my husband was deported 15 years ago for aggravated felony for receipt of firearm, I did not know him when this happened I came down for vacation to the Dominican Republic and I met him here I’ve been going back and forth to the United States so that our relationship will last we’ve been together for 12 years legally married and have 2 kids one which I lost here in the Dominican Republic after a day of being born she was a premature baby it was very hard and I could have had her in the United States but I decided for him to be there for her birth now we have one child together and one which he has raised I have really bad anxiety And can’t take living here any longer I keep getting the same virus here over an over the H.pylori, which last time I had to go to the United States and get It treated because I was losing a lot of pounds..now I have it again. Is there anything that I can do?? What are the fees involved? I am an American citizen and so are our kids. My case one the ones which help with the fight for the 212h waiver in the 8 cir. I am in Nassau, Bahamas mentally not stable no family nothing just trying to live day by day. I do need your help to go home to my family please. My number 242-462-4640 or magic jack 718-245-6054. Thank you if you can its is and has been very scary here. Good evening, I would like to ask if I qualify for this relief I was deported in 2006 on an aggravated felony charge to Tijuana, Mexico. I was an LPR since 1982. I fought my case for ten years in all courts and still could not get a relief (212h). My wife and kids(3) are all U.S citizens. I would like to thank you in advance if you can give me some sort of information, regarding this new law. I was an green card holder for more then 18 years. Do I have any chance to apply for (212)h…? Hi my name is Albert. I received my green card in 1986 through amnesty through my mother. At that time I was 10 yrs old. As an adult I committed and aggravated felony 245a (domestic violence). I was deported in 2001. I have 3 kids in the U.S. who are all citizens. I currently reside in a border city in Mexico. I would like to know if 212(h) Waiver Eligibility would be an option for me. Thank you. Hello I came to the us in 92 I have 2 aggravated felonies both are assult in the 3rd I will be marrying a citizen this Sunday and we also have a 3 year old son clearly born in the us I served 8 months in jail for one of my offenses and 2 for the other immigration never picked me up but now I am trying to renew my green card since I came out of jail I have aquire my ged and have turned into a family man my release was in may of 2012 will I be arrested when I go for biometrics appointment I already send my application and I read of ppl getting told to take their arrest record with them to the appointment I didn’t get that notice am in the clear or should I lawyer up and how good are chances of staying I’ve only paid taxes 3 years and I am planning on returning to school how good are chances? There is no waiver for drug trafficking offenses. The only possibility is seeing if NYS would allow you to change your plea or provide you with some type of pardon. Hello there, I was a LPR in ’81,convicted & deported in ’98 for narcotics,the paper they gave me said 10yrs b/c it wasn’t an AF,10yrs had passed & my moms who’s a USC filed for me,the petition was approved.Through word of word & lawyer’s as well,said I can’t returned b/c there’s no waiver for narcotics. 1st of all is that true? Why did they approved the petition if I’m inadmissible? My mother who’s is old now have the fake sense that I’ll returned,I never broke the news to her.I don’t think she can take it any more.Can that 212(h) help me? There is no waiver for a controlled substances offense other than a single offense of possession of 30 grams or less of marijuana. It may be necessary to see if you can obtain some type of relief from the state court that convicted you. We would be happy to discuss. To schedule a time, please call 202-644-8600. It depends. We would need more information. Please feel free to contact our office at 202-644-8600 to schedule a time to chat. Thanks! That is a tough situation. I think you need to find a top notch criminal attorney in Florida who knows how to work through their court system. It may not be possible, I dont know- that is a question of Florida state law. I would ask a Florida criminal attorney. That is really complex. Need to review the whole thing. I suggest that you call our office at 202-644-8600 to schedule a consultation with me or one of the other attorneys. I’m 2010 I was put on 2 years probation for felony theft by taking, I finished my probation and was taken off in 2012. I flew out of the country back home(jamaica) in 2014 and on my way back at the airport cbp stopped me and schedule me for deferred inspection they wanted a copy of my criminal record. I went and they rescheduled it because I didn’t have what they needed. I was so worried and scared I just took a one way ticket back home and have been here ever since. I have a 5 year old daughter and I want to be there for her. What option do I have at this point now that I have left. I was a legal permanent resident at the time. They took my green card at the airport. How do I get back to my daughter??? My family immigrated to the US from Canada in 1982, when I was 11 years old. Approx. 18 years ago I took the blame for my ex husband for a manufacturing charge because he had several priors I would get less time. I was much younger and “in love”. I also expressed concern to my criminal attorney about deportation as a consequence of my guilty plea. He assured me I would be fine. In addition to that, I also have a couple other things on my criminal record. However approx. 13 years ago I checked into a one year residential rehab to address my issues. I successfully graduated and completely turned my life around. Fast forward to December 2017. My 13 year old son plays on an elite football team in Temecula California and was invited to play in an international tournament in Cancun, Mexico. I was so proud of him and proud of what a fine young man I was raising despite the years of physical and mental abuse. He starts high school next year. He has a learning disability yet determined to be successful. This is my goal in life. My son is my life. Long story short our US team won the tournament. We were flying back home and had to change flights in San Fransisco. This is where I was detained and interrogated for six hours. Before I answered any questions I asked if I needed an attorney and was told I didn’t. I am now in removal proceedings with a master hearing on July 2nd 2018 in San Francisco’s. First off I would like my case to be heard where I live as traveling to San Fransisco would be difficult. Then again maybe S.F may be a better court. Please help me, I cannot bear the thought of deportation. I live a good life I am an active member in my community and consider myself a good person with good morals who made some bad decisions many years ago. I’ve dedicated my life to raise my son, stepdaughter and my maternal granddaughter with good morals and keep them on the right path. I’ve spoken at schools and youth shelters giving my testimony to keep at risk kids out of trouble. I’ve spoken at events and I’ve volunteered for several things. Now I’m in removal proceedings. I’m terrified. Everything I have worked so hard for could be taken away including being separated from my entire family. Please help me! I don’t know anyone in Canada. I have proof to show how my life has drastically changed from what it was 18 years ago. I left my son’s father when he was only 1, because of the severe physical abuse. Had I known that this would happen 18 years later I would have never taken the rap for him. This is an aggravated felony that I honestly just took the blame for out of young love. I was about 28 years old, I am 46 now. There must be something I can do. I can’t uproot my son and I can’t leave him behind. My whole family is here. Any advice is appreciated. We would be happy to discuss this with you in a consultation meeting. Please call our office to schedule a time to speak with an attorney.